Drizzt Do'Urden made his first mistake the moment he was born: he was a boy. In the rigid matriarchy of the dark elf city of Menzoberranzan, that makes his life forfeit. But when his own mother tries but fails to kill him, Drizzt's path is set. He must find a way to escape the treacherous Underdark, even if that means setting out alone into the no less dangerous World Above. 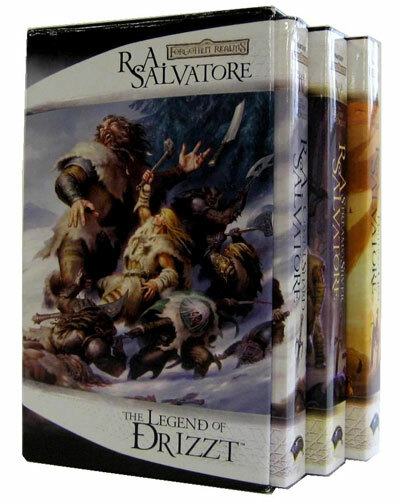 The Crystal Shard, Streams of Silver and The Halfling’s Gem, collected here for the first time in their newly re-numbered and re-covered editions, introduced the world to Drizzt Do'Urden and his creator, R.A. Salvatore, nearly two decades ago.